In years past, Siyat’s livestock would perish with drought conditions and force him to leave his land and village with his very large family to seek help from relief agencies and the Kenyan government. Mercy-USA’s livelihood project helped Siyat and his family make better use of the resources they already had at their disposal. He and his two older sons were trained in basic farming techniques, and given farming tools and fertilizer. We also supplied the family with a generator and fuel to access river irrigation water for his under-utilized farmland. Now, Siyat is growing crops that support his family with a variety of nutritious grains and vegetables plus these are cash crops he can sell for additional income. 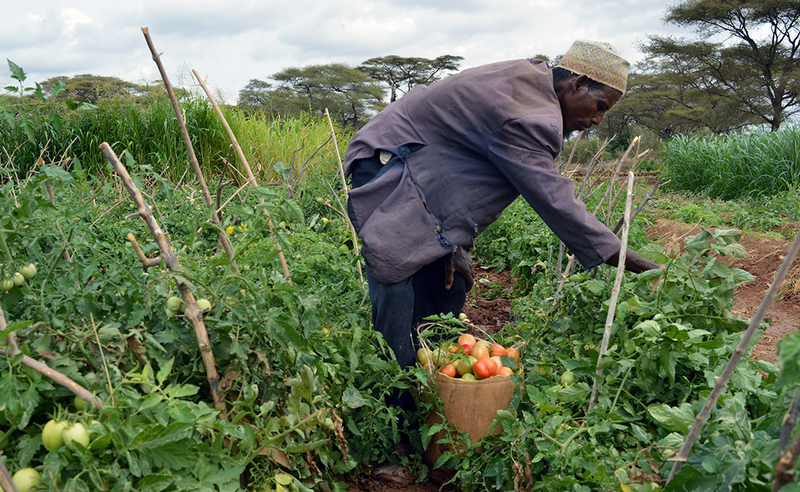 Projects like this agricultural support program are designed to help families like Siyat’s to become more resilient to hardship and the fickle climate changes that have devastated so many in the last decades in East Africa.